State Legislators Start Personal Property Tax Study, Reform on the Way? 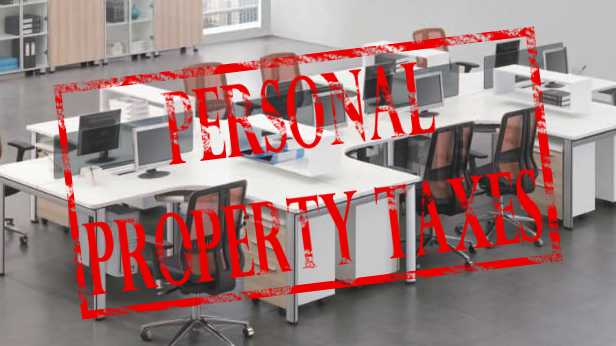 [Madison, Wisc…] The Steering Committee on Symposia Series on Personal Property Tax met for the first time on Wednesday to lay out their agenda for studying the personal property tax in Wisconsin. Symposia chairman Rep. Duey Stroebel (R-Saukville) promised that the committee would “learn from every side, every angle” in an attempt to better understand how the personal property tax affects Wisconsinites. Personal property is taxed separately from real property in Wisconsin and is designated under four categories: furniture, fixtures, and equipment; machinery, tools, and patterns; boats and other watercraft; and all other personal property. Since personal property is “self-assessed” by property owners, business owners are often burdened by the lengthy process. Rep. Joe Sanfelippo (R-New Berlin) referenced his first hand experience as a small business owner tasked with completing personal property tax requirements. Sen. Tom Tiffany (R-Hazelhurst) echoed his colleague’s comments. Personal property taxes chip in $270.4 million a year to local governments throughout the state, a fact that Rep. Robb Kahl (D-Monona), a former Mayor, wanted the committee to know is very important. Kahl reminded the group that those revenues go towards providing essential services, and local government input should be taken seriously if any changes are to be made to the tax. Similarly, Sen. Tim Carpenter (D-Milwaukee) warned of the danger of “tax shifts” disguised as tax cuts that could further burden Wisconsin citizens. “I’m very concerned about the trend in this legislature, how we’re going forward with ignoring local units of government and not looking at the impacts of these shifts,” Carpenter said. Another major concern with personal property taxes is the confusing amount of exemptions. Wisconsin law grants fifty-seven different personal property tax exemptions including various farm and manufacturing equipment, property of some civic and religious organizations, and many others. Ten states do not tax tangible personal property at all, including the neighboring states of Illinois and Iowa. Michigan has set in motion a plan to phase out its personal property tax by 2023, and Ohio has replaced most of its with a commercial activities tax. The tax received a huge amount of attention in Indiana during its spring legislative session earlier this year. Republicans in the Hoosier State aimed at following suit with other Midwest states in eliminating personal property taxes, but faced a firestorm of opposition from local governments and Democrats worried about severe losses in revenue. Estimates showed that $1 billion in local revenue would have to be made up, shifted, or cut if the personal property tax was eliminated cold turkey in Indiana. Eventually, lawmakers passed a watered-down bill that left each county with a toolkit of options ranging from full elimination to leaving it untouched. Stroebel indicated there would be two scheduled symposia hearings, July 30 and September 3, with a possible third date if the committee deems it necessary. The plan is to receive a wide range of input from businesses, assessors, representatives of local governments, as well as national public policy experts.